"Did you see him?" Miracle Communications has debuted an official UK trailer for the film The Unseen, a horror thriller set for release in the UK starting in December. The film is about a couple whose young son dies in an accident. The mom blames herself and starts to have panic attacks that affect her eyesight - and the audience's point of view. Her husband, tormented, believes he is hearing his son's voice calling out to him. They attempt to escape the grief by going to a lake house retreat, but things only get worse. Jasmine Hyde and Richard Flood, along with Simon Cotton, Dana Haqjoo, Derek Horsham, and Ashley R Woods. This looks like an intriguing thriller about the horrors of grief, but that not sure if it'll be any good. Gemma and Will are shattered when their son dies in an accident. Gemma blames herself and starts to have panic attacks that affect her eyesight - and the audience's point of view. Will, tormented, believes he is hearing his son's voice calling out to him. To escape their grief, Gemma suggests they take up Paul's offer to stay at his Lake District country getaway. Gemma, helped by ex-pharmacist Paul, tries to stop her panic attacks with medication. Will, unable to hear to his son in his bedroom back home, antagonizes Paul and suddenly goes home. Gemma is now reliant on Paul who appears to be developing genuine feelings for her welfare. Love, grief, and the frailty of the human condition are all brought to the fore as Gemma Will and Paul are caught up in a descent into violence, both psychological and ultimately physical. 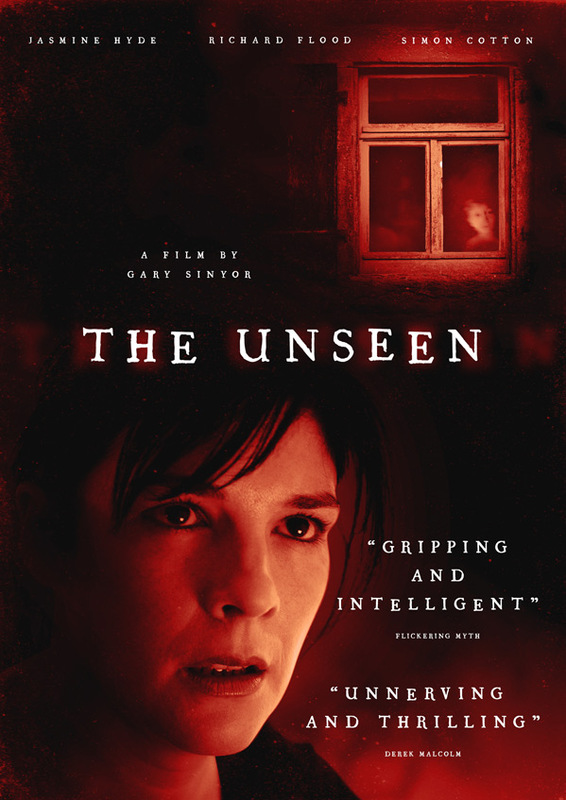 The Unseen is both written and directed by English filmmaker Gary Sinyor, of Leon the Pig Farmer, Stiff Upper Lips, The Bachelor, Bob the Butler, In Your Dreams, and United We Fall previously. The film is scheduled to open in UK cinemas starting on December 15th, but has no US release set yet. Stay tuned. Your thoughts?